Wed., July 11, 2018, 9 a.m.
A few minutes before entering the courtroom of U.S. Magistrate Candy Dale, Douglas Swenson turned to his wife and handed her his wallet. It was unclear before the hearing Tuesday morning whether Swenson, 70, the founder and CEO of bankrupt Meridian property management company DBSI, would be taken into custody. But already facing 20 years in prison, Swenson may have figured it was inevitable. 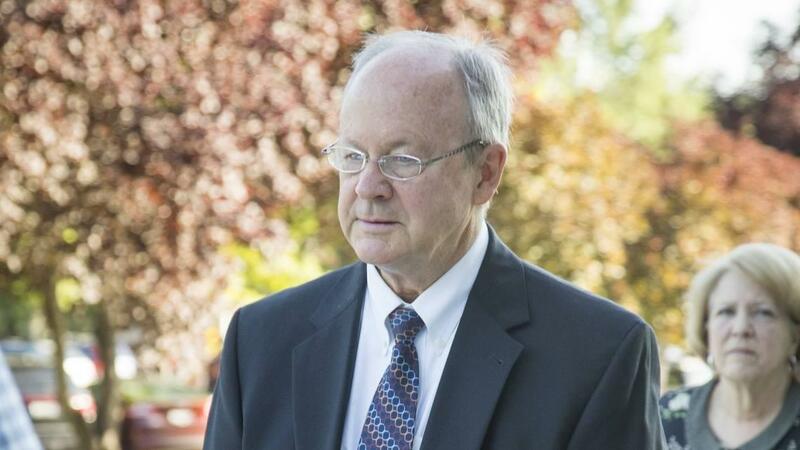 Dale later rejected defense arguments that Swenson, company attorney Mark Ellison and Swenson’s sons, Jeremy Swenson and David Swenson, should be given up to 60 days to self-report to the federal prisons where they will serve their sentences four years after they were convicted of multiple counts of fraud. The four men were convicted in 2014 of fraud stemming from the collapse of DBSI — short for Diversified Business Services and Investments. Published: July 11, 2018, 9 a.m.